RPA tech has evolved into sophisticated frameworks that automate IT tasks and rules-based processes. Now, RPA benefits are bridging the gap between legacy apps and modern ones. artificial intelligence and natural language processing capabilities, modern RPA frameworks have evolved from glorified screen-scraping tools to sophisticated frameworks that automate many manual, rules-based tasks done by human workers. One emerging use case is using RPA development to bridge the automation gap between legacy applications and modern cloud apps. Many legacy applications are only accessible through a GUI app interface. RPA can provide an abstraction tier for automating the transfer of data to and from these interfaces to cloud apps. "RPA should focus on human-machine interaction, not system-to-system where APIs work well," said Craig Le Clair, principal analyst at Forrester. Le Clair estimates that about 70% of apps can only be accessed through an existing user interface on a desktop or web interface. The key feature of RPA is that it has desktop smarts to do this. But there is a caveat: Unlike API integration that insulates connectivity issues from application changes, RPA is more vulnerable to app changes. "Apps that change often will break bots and be expensive to maintain, so the CIO should consider building APIs to these more dynamic apps," Le Clair said. Robotic process automation can help knit together data from legacy systems on premises into new cloud-based systems, such as when transferring insurance claims or HR data to the cloud. "It can be a useful tool to help organizations looking to digitize legacy systems and processes," said John O'Brien, research director of RPA customer experience at HfS Research. API integration -- the approach of choice for bridging the gap between legacy and cloud apps -- is often much more time-consuming and costly than RPA development and can end up creating microservices that are difficult to scale. 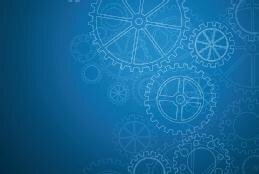 "There are RPA tools that focus down at the ERP layer specifically, which can provide similar levels of compliance and integration -- and at a fraction of the cost" of API integration, said O'Brien, adding that API integration is still the preferred approach for large-scale IT transformation programs. The key benefit of using RPA lies in being able to replicate and reuse an integration abstraction of legacy assets across new processes -- and to scale out rapidly. For companies that have legacy processes and systems running behind the scenes of their SaaS applications, this feature is critical to being able to scale automation. Newer RPA tools give users the ability to automate their legacy processes in sync with the built-in automation capabilities found in a cloud platform like Salesforce, without having to resort to APIs. Radial, a business process outsourcing provider, has been using Pegasystems' Pega RPA and robotic desktop automation for integration across its cloud and legacy systems. Robin Gomez, director of data analytics at Radial, said RPA reduces the needs for its clients to have to create and maintain new APIs for their legacy systems. It also cuts down on support calls. Another benefit is that RPA can enable integrations that would be challenging using traditional APIs. "Both RPA and API integrations can provide information displayed and placed in required systems and across systems," Gomez said. "However, RPA does not require additional technical support or maintenance of the APIs. APIs can experience lag and can impact agent workflow, where RPA does not have this inherent issue." System response time for cloud-based tools must be considered during RPA development, as there are instances where the pull of information from the cloud lags in the main system and can hinder automation flow, Gomez said. Developers need to extensively test automation timing and response to ensure workflows are properly configured. Additionally, it is important to assess the cloud-based system, as well as on-premises tools, to ensure the RPA system is able to recognize and execute within a tabular environment, such as copying data from an Excel table into a database. In short, CIOs need to consider the tradeoffs of using RPAs rather than creating custom integrations, namely: RPA is easy to set up, but breaks easily, too. Custom integrations with APIs can be faster and scale more efficiently, but they can be costly to set up -- particularly for legacy apps. "Often when dictates are being made from the COO or CFO about cost reductions, API or traditional systems integration approaches are going to be too costly or inflexible," O'Brien said. In some cases, both APIs and RPA can work together to complete workflow and the design of the agent experience. Good governance needs to be front and center, as does getting key internal stakeholders on board because both IT and operations need to be on the same page. Ensuring that IT has endorsed the RPA product will help alleviate internal issues. Choosing one preferred offering is another best practice to consider because it deters mavericks from buying different tools to use under the IT radar. Fundamentally, using RPA to transfer from legacy apps to cloud-based ones does not pose more of a challenge versus using RPA to automate on-premises processes. Individual use cases should be evaluated to determine if an API integration or RPA is more applicable. "In some cases, both APIs and RPA can work together to complete workflow and the design of the agent experience," Gomez said. In addition to integrating legacy and cloud platforms, RPA tools are starting to be used to support multi-cloud integration scenarios. "Multi-cloud integration presents a huge new opportunity, though, so there's no doubt it will become increasingly important," O'Brien said. For CIOs interested in using RPA for multi-cloud integration, O'Brien advised taking "small, pragmatic steps." Look at where there are manual workarounds or rekeying occurring in the cloud platform. This could include onboarding data, cleansing, master data management and the hand off to other back-office systems. "A toolkit that works with the existing systems, not against them, is key -- alongside using intelligent workflows and analytics that can provide insights into the existing ways of working and provide intelligence for continual improvement," O'Brien said. How can your company use RPA benefits to bridge the gap between legacy and cloud applications? Companies are realizing that having an RPA strategy to automate repetitive, rules-based tasks is a necessity, not an option, for achieving digital transformation. A global consumer credit reporting agency, an affordable housing lender, and a Fortune 500 insurance company bet on using RPA software. Here's what happened. IT's role in an RPA implementation varies depending on the scope of the project and the company's enterprise architecture. Here's how Fannie Mae, Duke Energy and Abbyy handle RPA. At CiGen, we train bots to fetch and interact with data from multiple separate and unrelated systems. We tell clients that it’s illustrative to think of an RPA bot as a virtual or digital employee, in that they act on their data and systems just like a human would, working back and forth between different applications.